Yes, way too much dill for me too. I now make it with 1/8 tsp. I prefer my dill working in the background....not center stage. : -) But I love this dressing. I've made is so many times! I needed ranch veggie dip do I left out the milk and it was perfect. Great recipe. Thanks! My family has always said that I am a ranch snob. This is by far the best I have ever tasted from a bottle or a restaurant! 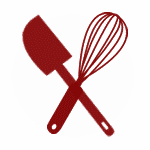 I make it on a weekly basis and every time I bring it to a party everyone wants the recipe! It takes me about two minutes with an emulsion blender in a mason jar and I'm done. Love love love this ranch! 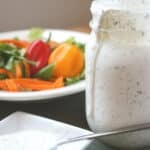 Keto Ranch!! I switch out the milk for heavy cream and it's perfect! Delicious! Thank you! I just stir this up in a small bowl with a spoon. So simple, quick, and delicious! No need for seasoning packets, and I can identify all these natural ingredients. 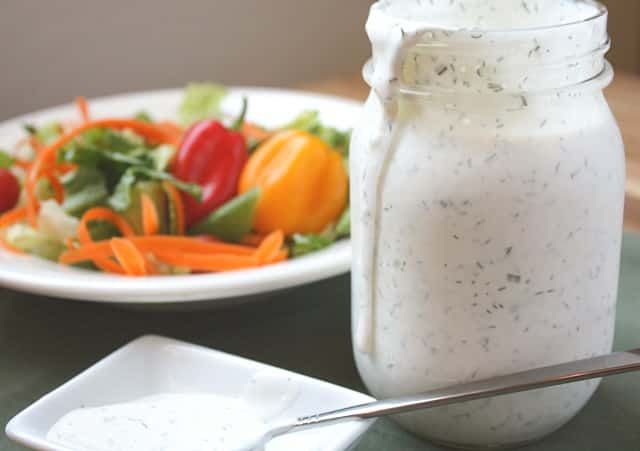 This is truly the Best Ranch Dressing Recipe. It should be fine for up to a week, although ours rarely lasts that long. Very easy to make. But does take a well stocked spice cabinet. Thanks 4 sharing. Great Ranch! My family loves the taste! I added extra dill and extra chives. Thank you for the recipe! Great recipe! I found that I like a lot of acid here, probably 2-3 tbsp of lemon and lime. I also use roasted garlic and extra dill. My question is, is it pourable or thick and gloopy? 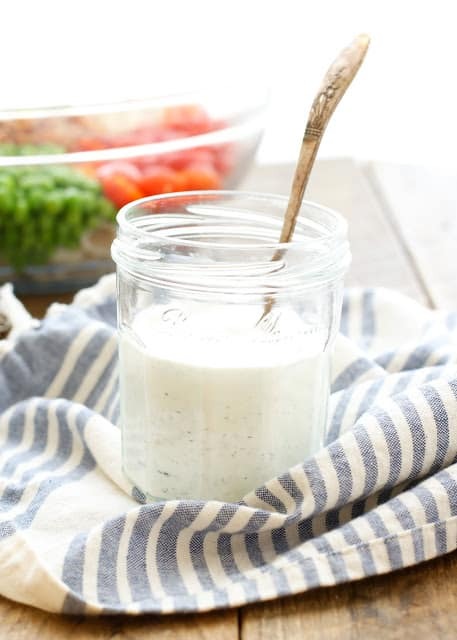 I am so tired of homemade ranch that isn't "dressing" but "dip". Dressing should be pourable. 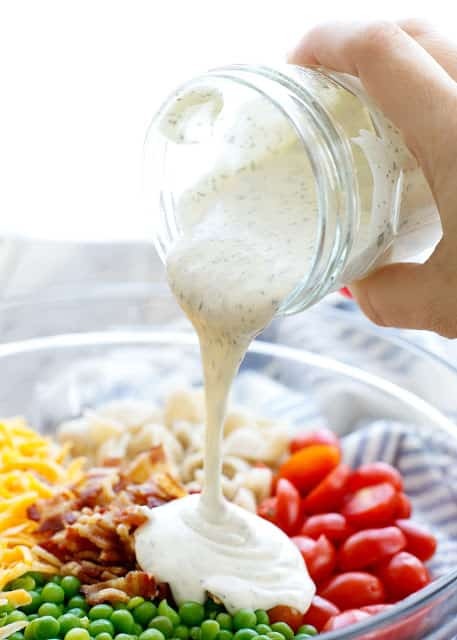 This is a dressing, so it pours nicely. I've linked to our dip recipe as well, but that's for dipping, not for salads. I followed the directions but my dressing is way too runny. Will it thicken up? It does thicken a bit as it chills. It's definitely a pourable dressing though, not a dip. 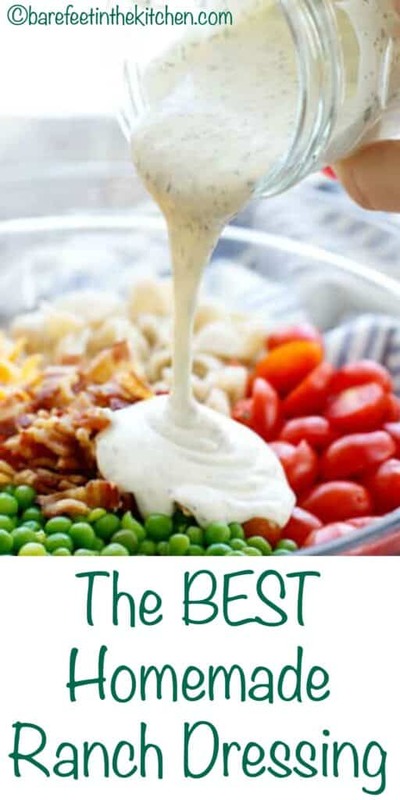 If you want a thicker dressing, mix the sour cream and mayo then slowly add milk till it reaches the consistency you like. Is it ok to use fresh spices and herbs? This recipe is the best! Most ranch dressings have MSG as an ingredient and I am allergic to MSG. So I make this recipe from scratch and my family loves it! Thanks for posting this recipe. I would love tot try this BUT I never, ever use dried parsley or chives...why could I not use fresh? Thank you for your prompt answer in advance. Just so you know, you can ALWAYS substitute fresh herbs for dried herbs in pretty much any recipe. You'll want to use 3x as much of the fresh herbs as is listed for dried herbs, as the dried herbs are typically more potent. I make this with fresh herbs whenever I have them in the house. It's especially tasty with fresh dill. Enjoy! Do you have the nutrition information posted anywhere? Thank you! Can't wait to try this!